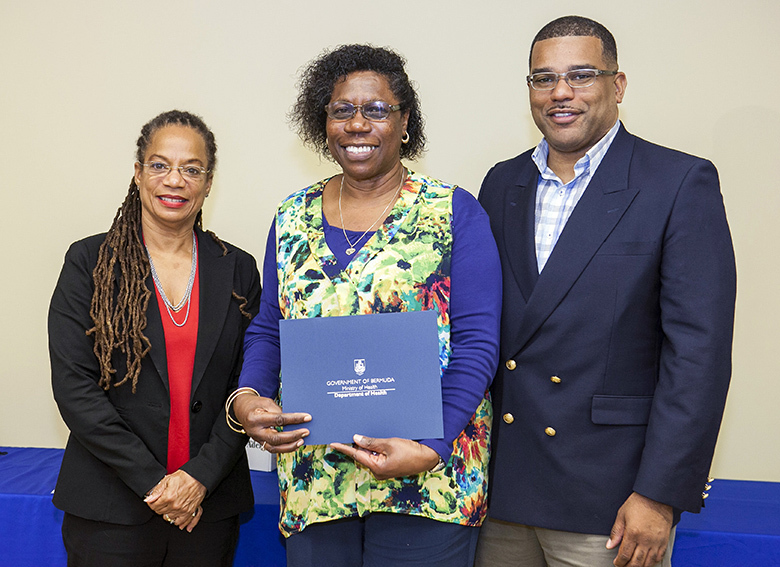 Awards were distributed at the annual School Lunch Challenge recently, with the ceremony being attended by Minister of Education and Workforce Development Diallo Rabain and the Minister of Health Kim Wilson. A spokesperson said, “An important Government initiative aimed at halting an alarming trend in Bermuda has received a boost, with awards distributed at the annual School Lunch Challenge. “The Government’s Throne Speech promised to engage all sectors of society in a coordinated, strategic plan to arrest the rise of obesity and diabetes. “The School Lunch Challenge is an existing programme that instills healthy habits for school students at an early age. It tasks young people to foster life-long nutrition practices. 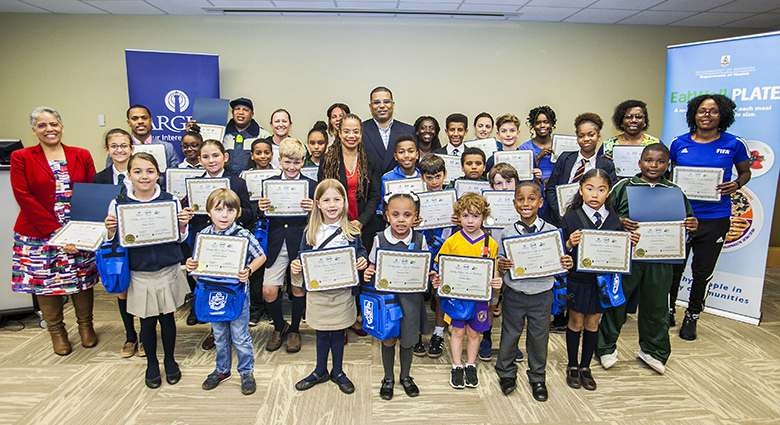 “The programme for primary and middle school students was sponsored by The Argus Group and the Bermuda Dietitians Association in partnership with the Department of Health. 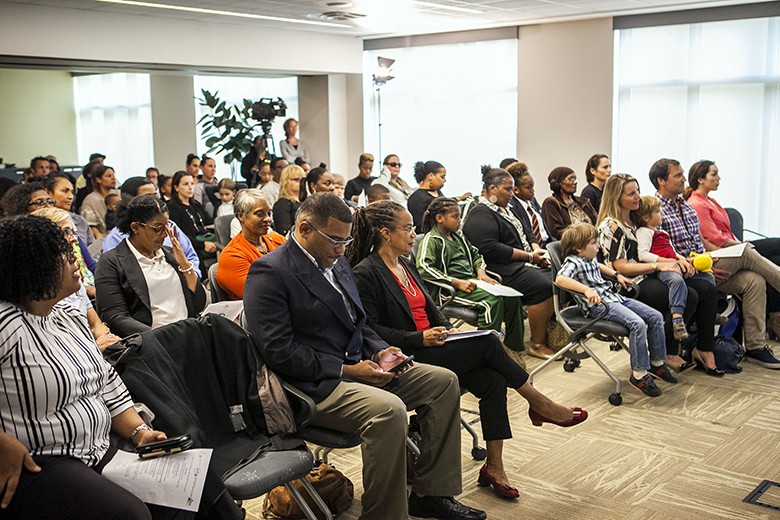 “The awards ceremony, held at the corporate headquarters of Argus, was attended by both the Minister of Education and Workforce Development Diallo Rabain and the Minister of Health Kim Wilson. “Total cash amounts received by schools was $4,475.00. Minister of Health Kim Wilson said, “I am elated to be here this afternoon to congratulate the winners of the School Lunch Challenge of 2017/18. It is always a pleasure to attend award ceremonies for our young people and their achievements. It is exciting to know that the partners are committed to our school children. 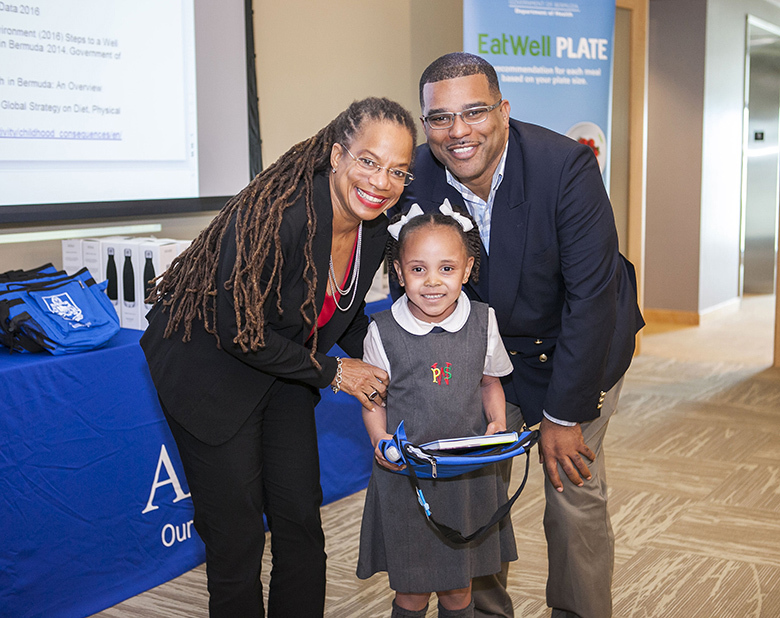 “The partners that have made this possible are lead sponsor The Argus Group, Bermuda Dietitians Association, Nutrition Services, Well Bermuda, Healthy Schools, Ministry of Education and Workforce Development. I am pleased with the partners’ initiative to work together in our schools, with students and the parents for change. “I applaud everyone’s consistent efforts as once again we celebrate the 4th year of the School Lunch Challenge awards success. “This challenge teaches students about good health, healthy eating and allows them to implement what they learned and to put it in practice to create a healthy lunch. This can and will help lead them to healthy habits as adults. “Students in P1 to M2 continue to take an interest in your health. Seek out healthy food options regularly as these foods will help you to grow strong and keep your brain sharp. “I am proud of all of you and I hope that each one of you will continue with healthy eating habits for a healthy body as you get older. 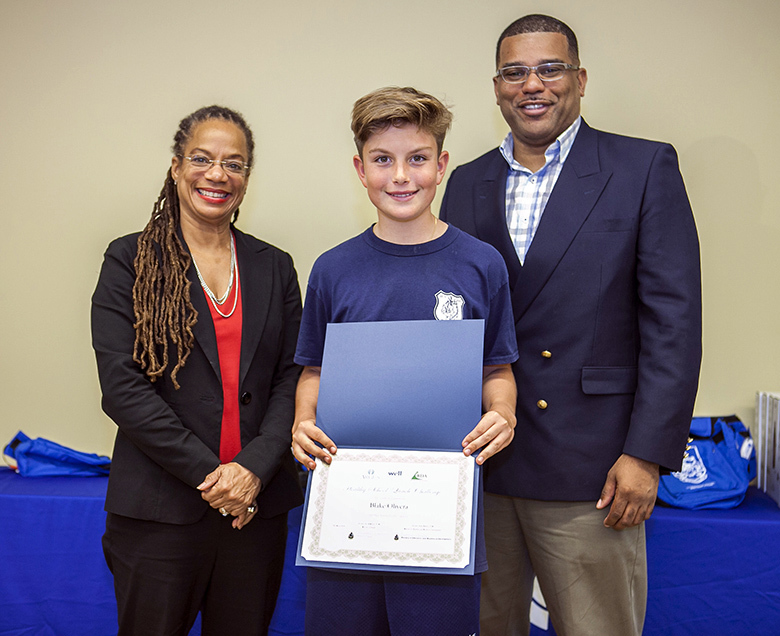 “Parents, the School Lunch Challenge has been well received with participation from twelve government and private schools, and it aligns with the teaching of the Bermuda Dietary Guidelines and the Eat WellPlate. The school lunches are the practical application of the guidelines and form an important part of the establishment of a peer group’s healthy eating habits. “Educators, I know my learned colleague Minister Honorable Diallo Rabain will agree that your encouragement and support of the School Lunch Challenge is a very important part of the success of this programme. My Ministry appreciates what you do to make Bermuda’s future adults healthy, productive members of society. “Students, keep up the healthy eating, and find activities you enjoy for lifetime habit of eating healthy and active living. We need all of Bermuda to follow and I’m very happy that you are leading the way.